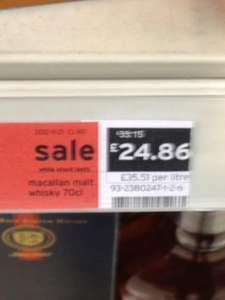 Good price for this quality 10 year old single malt, giving about a 25% reduction. Marked as 'Sale', so probably not everywhere but saw it in two South London branches (Colliers Wood and Morden) so could well be in others. Jd is no longer £14 at Asda. Thank you picked up earlier.